Active electronics with 4 EMG Front Tele pickups. Four active EMG "Front Tele" stacked humbucker pickups give you great sonic versatility, providing full-frequency, low-noise tone that sounds just as good clean as it does with lots of distortion. 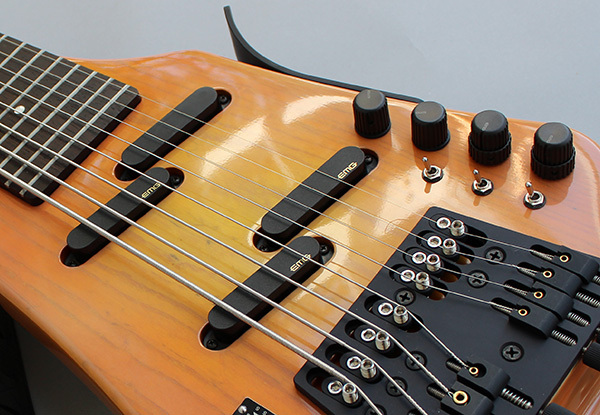 Each set of four strings has two pickups with a three-position selector switch (neck, both, bridge) and independent active bass, treble and volume controls. A stereo/mono switch merges the two sets of four strings into one set of eight, while retaining the independent tone and volume control for each group of strings. The output jack is stereo TRS as on our Stick instruments, and in mono mode a standard guitar cable can be used. 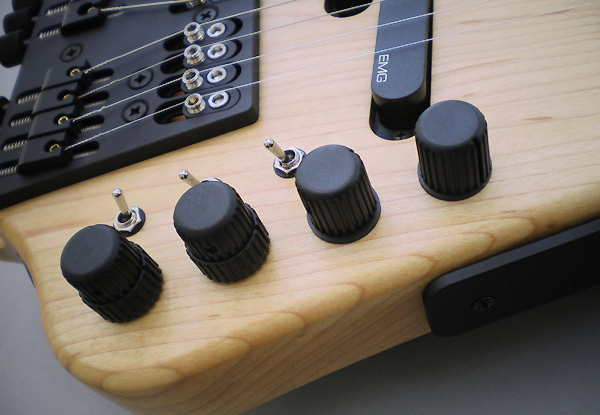 Each pair of pickups has its own volume, bass and treble controls. A single 1/4" TRS jack works with the standard Stick splitter cable (provided with your instrument), or with a standard guitar cable when in mono mode. 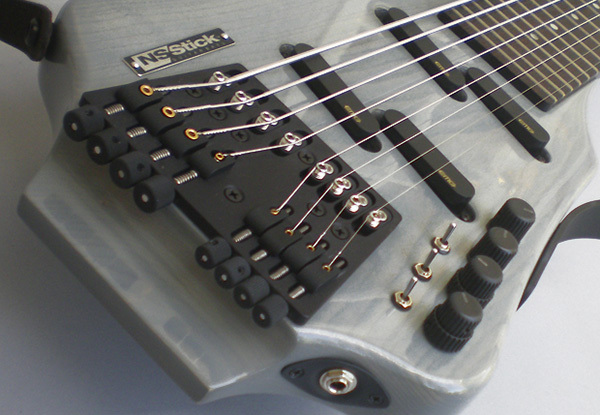 Each set of 4 strings has a bridge and neck pickup, selectable with two of the toggles. The third toggle is for stereo/mono operation.